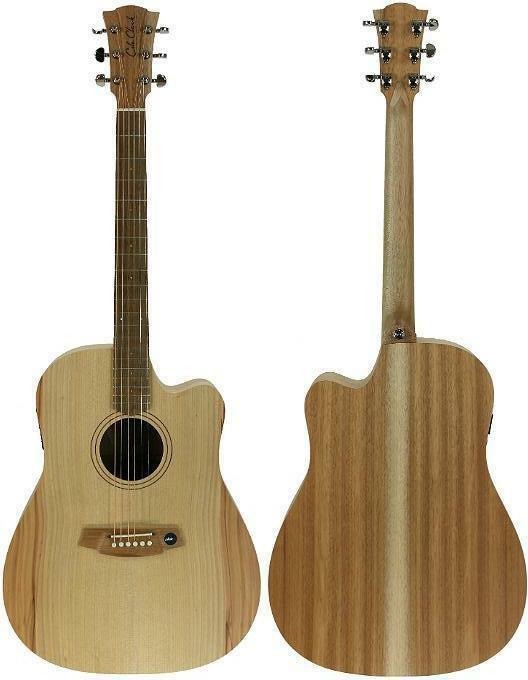 The Cole Clark Fat Lady 1EC in Bunya Maple is a high quality Aussie Made acoustic guitar at a great price point. At Haworth Guitars we love our Cole Clarks and the Fat Lady 1EC in Bunya Maple is one of our most popular models due to the quality craftsmanship and the bang for buck. The 3 way pickup system is one of the best acoustic guitar pickup systems in the world which makes the Cole Clark FL1EC in Bunya Maple really sing when plugged in, while the solid timber construction makes this guitar sound amazing unplugged. Made in Australia and case included. The Cole Clark FL1EC Bunya/Maple is a no-brainer in our humble opinion at Haworth Guitars.